While the idea of sleeping under the stars may sound enchanting to some, the reality of an overnight in the woods can leave others riddled with anxiety. Not surprisingly, concerns surrounding bathing and bathrooms tend to top the list. But with the right gear, you can bring the creature comforts of home to your campsite, thus upgrading your rugged trek into a glamping getaway. 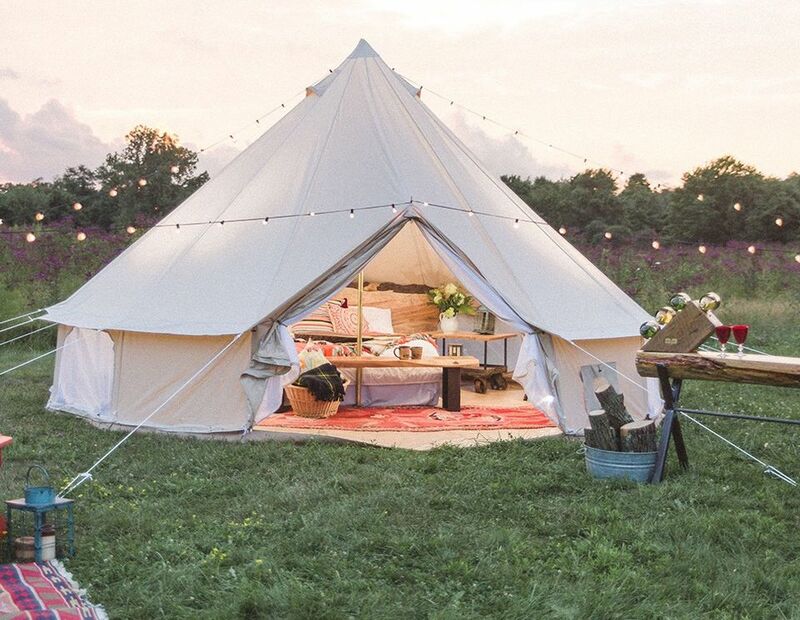 To help make your next outdoor adventure a little, err a lot, more luxurious, experts at Glamping Hub shared their top picks that combine convenience, practicality and functionality. 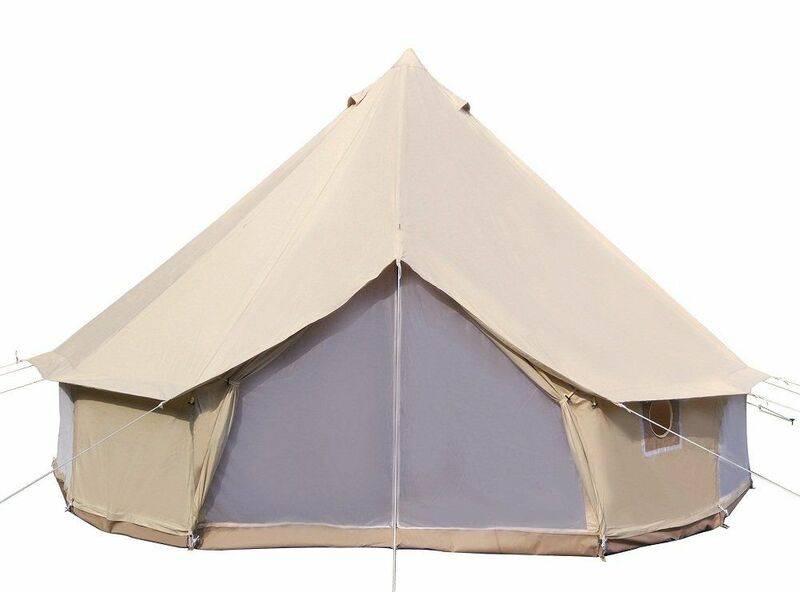 Ahead, everything you need to glamp like a pro! So when it comes time to heed the call of the wild, all you’ll have to do is pack up your equipment and supplies—plenty of water, healthy snacks, and food (because what’s a campfire sans s’mores? )—and hit the open road. Staying clean while camping just got a lot more convenient and comfortable thanks to this combination shelter/shower. The versatile shelter is loaded with a five-gallon portable shower unit, zippered D-shaped door, inner mesh pockets for toiletries (perhaps biodegradable soap? ), and detachable floor with mesh panel for water drainage. Need a place to change clothes or do your business in peace? Remove the shower and use the space as a changing room or outhouse. You’ll be hard-pressed to find a plug in the middle of the forest. But thanks to tech advancements, you don’t need electricity or batteries to illuminate your space. This durable, ultra-portable, waterproof luminary is powered by the sun and lasts up to 24 hours on a single charge. The adjustable bottom strap lets you attach it to to anything, from a backpack—perfect for after dark exploration—to a tree branch—to give your campsite some overhead light. Looking for a more modern rendition of an old-school campfire singalong? Swap your guitar for this bluetooth speaker (and check out these creative camping party ideas). Not only is this portable player waterproof—so you can listen to your favorite tunes no matter the weather—but it offers up to 20 hours of playtime on a single charge, is capable of connecting to three mobile devices simultaneously, and charges smartphones and tablets via USB. Just because your local coffee shop may be miles away, doesn’t mean you have to miss out on your morning cup of joe. Enjoy a frothy latte courtesy of this titanium French press and foamer. Just be sure to BYOB (bring your own beans) and milk. Escaping the city certainly has it rewards—chief among them, a reprieve from constant sensory overload. That said, while your fellow urban-dwellers may at times feel like pests, your neighbors in the wilderness are actual pests. Plus, a lack of traffic and street lights means total darkness. Not only will these Citronella-infused, battery-powered string lights amp up the natural ambiance (and brightness) but they’ll also keep mosquitoes and other insects away!